Jorge Soares, 45, of Lynn, was arraigned yesterday in Salem Superior Court on various Massachusetts DUI Charges, including Operating a Motor Vehicle Under the Influence of Alcohol, 5th or Subsequent Offense. Soares was arrested back in December after being pulled over by Massachusetts State Police Troopers for allegedly driving his pickup truck on the Lynnway in Lynn in an erratic manner. 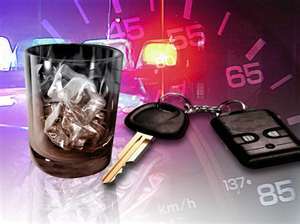 After being pulled over, Jorge Soares allegedly failed several Field Sobriety Tests, and then taken to a hospital, where his Blood Alcohol Content was allegedly 0.20%, almost three times the legal limit. Following his arraignment in Salem Superior Court for Operating Under the Influence, 5th Offense, Jorge Soares was held without bail pending a Dangerousness Hearing later this month. At that hearing, the Essex County District Attorney’s Office will argue that no conditions of bail or release can protect Soares from posing an immediate danger to the community or himself, and should be held without bail pending trial. The Massachusetts OUI Crime of Operating Under the Influence of Alcohol, 5th or Subsequent Offense, carries extreme penalties, including commitment to state prison for not less than 2.5 years and up to 5 years; fines totaling almost $50,000; lifetime revocation of your Massachusetts Driver’s License; cancellation of the vehicle’s registration; and potential forfeiture of the vehicle. The District Attorney’s Offices across every county in Massachusetts seek to prosecute DUI / OUI Charges very aggressively, particularly subsequent drunk driving arrest, and those charged with any OUI crime should immediately Consult with a Boston DUI Lawyer. Boston DUI Lawyer Lefteris K. Travayiakis is available 24/7 for consultation on all Massachusetts OUI Charges.